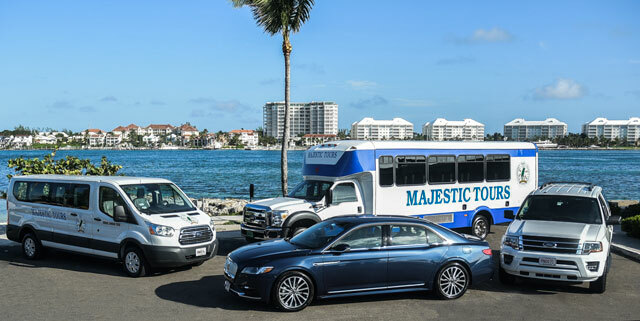 With the largest, most modern fleet of vehicles in The Bahamas, Majestic Tours provides unparalleled transportation services around Nassau & Paradise Island. With our friendly, professional staff and modern fleet of vehicles, Majestic Tours is your first choice for tours and transfers in The Bahamas. Our courteous staff is willing to assist you with arranging a wide variety of transportation and activities in the Nassau/Paradise Island area. Majestic Tours offers personal multilingual representation for clients from many nations. Our multilingual services include: Spanish, French, German, Italian, Portuguese, and Swiss German. Contact us today to learn more!